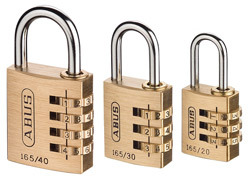 Here is an extensive range of combination padlocks starting with low, medium and high security types including a section dedicated to weatherproof marine grade versions. Scroll down or click the shortcuts below to skip to the different types. We have tested each one to be reliable and suitable for their intended use and removed those from manufactures that we feel are sub standard or overpriced. 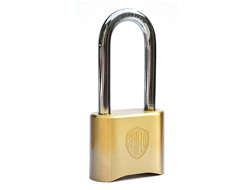 Also a medium security padlock where convenience of use is a high priority. 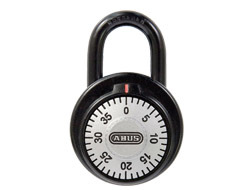 The dial mechanism offer a huge 64,000 possible combinations. 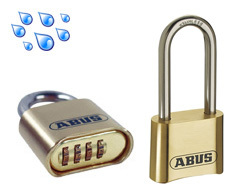 The ABUS traveller combination padlocks come in three sizes with 3 and 4 digit options. 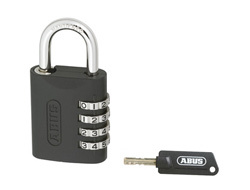 Ideal for luggage, suitcases, laptop bags, gym lockers, money boxes and sports equipment. 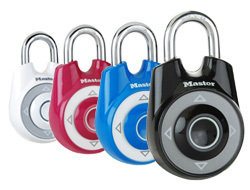 The new Speed Dial combination padlock, also know as the 'Masterlock One', is the latest development in padlock technology. These can be operated in low light conditions, when wearing gloves and also by people with poor eyesight. Resettable to your own directional code. 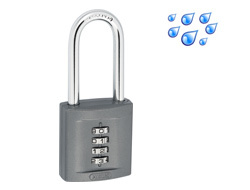 Please note that due to a highly complex mechanism this padlock would not be suitable for regular exposure to rain or water. 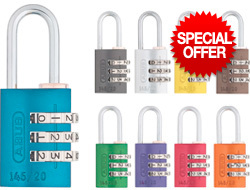 Unfortunately there are very few combination locks on the market which are 100% non corrosive. 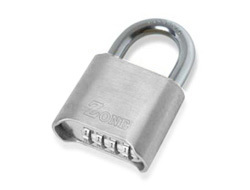 Below are a few that are made to be 'Marine Grade' which means no part of the lock can rust. 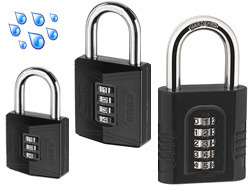 Many of the other medium and high security combination locks are suitable for use outdoors but these weatherproof models are ideal where you have tried normal combination locks and you continue to have problems with rust. One of the oldest, but still one of the best and made in Germany. 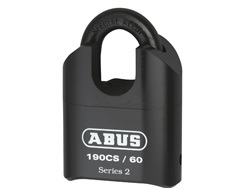 ABUS have been making the 158 series for a long time and now include 3 sizes: 40mm with 3 dials, 50mm with 4 and then the high security 65mm with a mighty 5 dials! 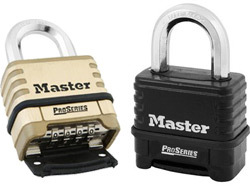 These are slightly larger padlocks and use hardened steel shackles to protect against hack-saw attacks. 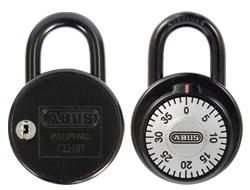 Some also use a unique key that is required to reset the combination. 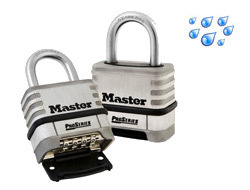 These padlocks are a more heavy duty option than even the largest of our locker and luggage padlocks. 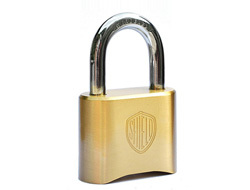 A large brass padlock with a satin chrome plated body for an attractive finish and added weatherproofing. 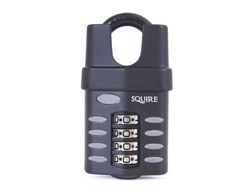 It also uses thick 8mm shackle and resettable 4-digit code which can only be reset once open and using a special key provided. 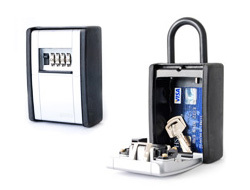 A large combination vault/garage designed to hold small items such as keys, credit cards or jewelery. 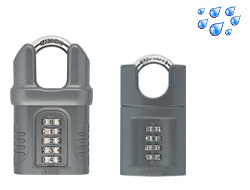 Two versions include a permanently fixed wall-mounted version and a mobile removable shackle type. 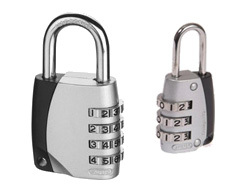 These are the highest security combination padlocks on the market using hardened steel shackles and solid bodies. 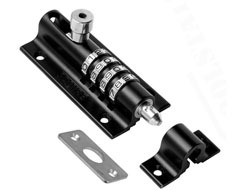 We also provide closed shackle types for added protection against bolt-cutters and hack-saws. 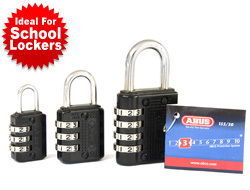 Please note that no combination padlock will carry a CEN rating. 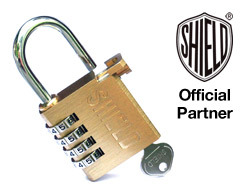 If your insurance company requires this certification then please see our High-Security padlocks section. 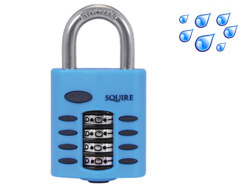 This Squire resettable combination padlock is great when you need a high security option but with the convenience of a combination. 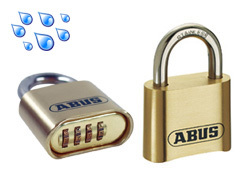 A die cast corrosion resistant body make it perfectly suitable for outdoor use. 3 Sizes available from 40-60mm.